Colleen Breeckner has been a student of Yoga since 1992. Colleen is eRYT 500 with the Yoga Alliance and has over 4000 hours of training. She holds several certifications from various traditions. Colleen trained for certification in the Anusara teaching method for 7 years. She is certified as a Thai Yoga Massage Practitioner from the Lotus Palm school and the Sunshine School in Thailand. Colleen is a certified Ayurvedic Health Counselor, as well as a certified Herbalist. 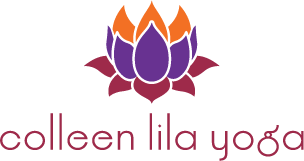 She is the director of, Lila Tandava Yoga Teacher Training based in New York and Connecticut. She frequently hosts workshops, classes and outdoor adventure retreats for adults, teens and children both internationally and nationally. She is known for her playful and spirited style and for her ability to convey complex spiritual teachings in a lighthearted, accessible way. Her clear articulation of the poses along with her creativity and depth make her classes profound, physically challenging and fun. Throughout the years Colleen has kept a foothold in a variety of different traditions including: Vinyasa, Anusara, Iyengar, Kundalini, Ashtanga, Jivamukti, Katonah Yoga, therapeutics and more. She feels that all traditions have something of value to offer and truly honors each system for the perspective they give to the teachings. Colleen feels deeply compelled to uplift and serve all the beings she encounters. She is driven by a deep commitment to humanity, helping others to surmount life’s challenges and find the strength within themselves to overcome their self imposed limitations. She continues to pursue learning in all areas of Yoga and movement. She has a son Kaleo (22) and a dog Riley (6).